The businessman Zahoor Ahmad Watali and Hurriyat leaders were receiving funds from Pakistan through conduits, the Enforcement Directorate said. The Enforcement Directorate case is based on a charge sheet filed by the National Investigation Agency. 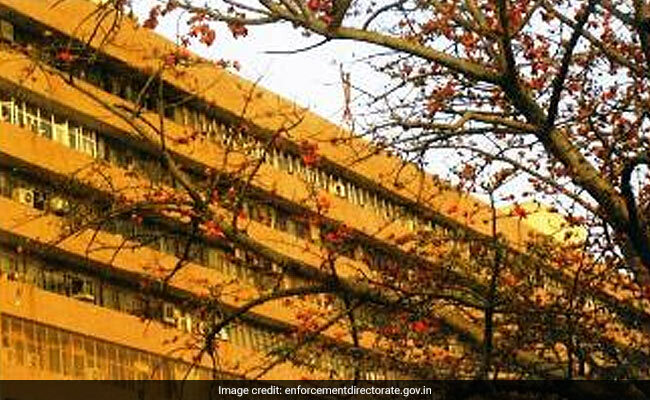 The Enforcement Directorate said on Tuesday that it has seized assets worth over Rs 6 crore belonging to Kashmiri businessman Zahoor Ahmad Watali, in a case related to funding of terror and separatist activities in Jammu and Kashmir. The probe agency said Zahoor Ahmad Watali and Hurriyat leaders were receiving funds from Pakistan through conduits and also from the Pakistan High Commission in India "directly". It said a provisional order under the Prevention of Money Laundering Act (PMLA) has been issued for attaching lands in Sozeith Goripora, Narbal and Budgam areas of Kashmir belonging to the businessman and his family members. The Enforcement Directorate case is based on a charge sheet filed by the National Investigation Agency (NIA) as part of its probe against Lashkar-e-Taiba (LeT) chief Hafiz Saeed. "Watali has been found to be involved in fund raising and as a financial conduit of Hurriyat leader. The probe revealed that the "Hurriyat leaders have received funds from Pakistan through conduits and also from the Pakistan High Commission directly," it said in a statement. "This was substantiated by an incriminating document seized from the house of his cashier during search," it said. "The document clearly indicates that Watali was receiving money from Hafiz Saeed (LeT and Jamaat-Ud-Dawa chief), from ISI, from the Pakistan High Commission at New Delhi and also from a source based in Dubai. Watali was remitting the same to the Hurriyat leaders, separatists and stone-pelters of Jammu and Kashmir. The said document has been maintained in regular course of his business and is signed by Watali," it said. This document, the ED said, indicated that the Hurriyat leaders were receiving funds from Pakistan through the officials of the Pakistan High Commission and through Zahoor Watali. The agency said his signature "has been verified" and as per the expert report, his signature on the stated document matches with his specimen handwriting as well as his admitted handwriting.